Unconfirmed rooms at this rate will be released 30 days prior to arrival. After that reservations are subject to the prevailing rate. 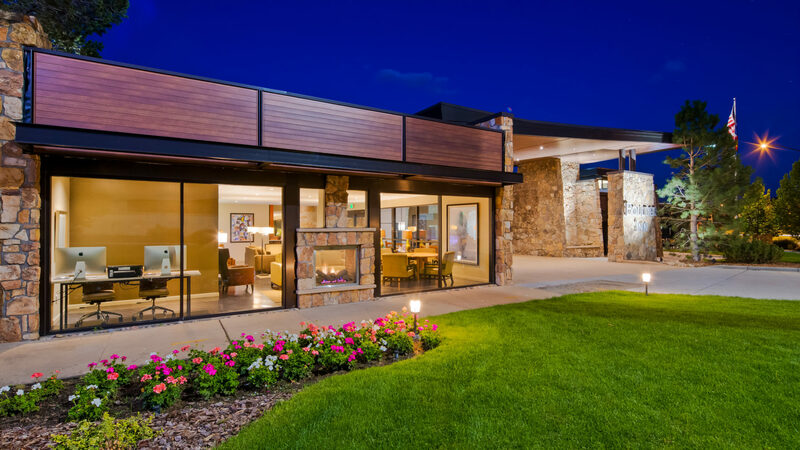 Prominently located directly across from CU, the Boulder Inn gives guests easy access to the city’s principal attractions, premier shopping, and fabulous dining. Stylish, well-appointed rooms reflect a gracious ambiance, found throughout the hotel. During your visit, enjoy our complimentary hot breakfast, free in-room high speed internet access, 40 inch LCD tvs with 60 HD channels, and 24-hour business center. Relax poolside and watch the sunlight bounce off colorful mountain peaks, or have our staff make a tee time at the nearby Hale Irwin signature golf course. Other guest facilities include hot tub, sauna, fitness facility, and conference center. Our multilingual staff is well known for exceptional personalized service to both business and leisure guests. Unmatched levels of courtesy and comfort, coupled with the captivating backdrop of the majestic Rocky Mountains, will guarantee your perfect stay. • Follow Airport Exit signs to Pena Blvd. After 9.7 miles, Pena Blvd. merges into I-70W. • From I-70 W – Take the I-270 N Exit (exit number 279) toward Fort Collins. • Merge onto US-36 W – Take Baseline Rd. Exit – Stay in middle lane after exit. • Go straight through the light onto Frontage Rd. Hotel is one block on the right.